With the holidays fast approaching, many of us are taking time off to go on a trip, either to visit family members who live far away or to soak up the sun at one of South Africa's most famous beaches and holiday destinations. Rather than testing your alarm or security system on the day before you leave, test it all at least a week in advance, giving yourself ample time to fix any problems that may leave you in trouble should they arise while you are away. Once you have tested the system, you will be able to alert your security company to the problems that you cannot rectify on your own. Again, this should be done well in advance, in order to give yourself time to rectify the issues. Take a walk around the entire perimeter of your property, and check all fences, barriers and security cameras in order to ascertain whether any are broken or malfunctioning. If you have an electric fence installed, it is vital to cut back any foliage or tree branches that may be overhanging onto or over it. 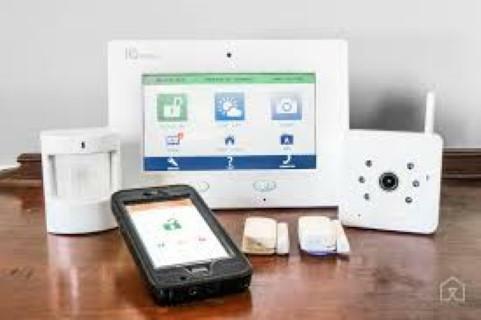 This could result in a false alarm to your security company, and an annoying phone call o you while you are relaxing on holiday. Trimming bushes and branches will also lessen the amount of hiding space for intruders. Before you leave - if your vacation will extend for over a week - ask your neighbours to collect all post from your post box or that may have been thrown onto the front steps, as this is a clear sign to criminals that nobody is at home. Before you leave, ask your neighbour to regularly check up on your property, especially if they notice suspicious behavior or individuals in or around your property. You could also offer your driveway to his holiday visitors, as regular activity can imply that someone is at home, which will deter criminals. Many studies have shown that criminals do not choose to break into properties that are well lit, so ensure that you have ample exterior lighting that lights up all the difficult-to-see areas of your property. You could also set up a timer for interior lights, further creating the illusion that someone is at home. This is one of the most vital steps - ensuring that every window and door of your house is solidly locked before you leave. Make sure to double check windows in children's bedrooms, in bathrooms and especially windows that are hard to reach - these are often overlooked by homeowners, but not by criminals! To further ensure the safety of your property, repair and replace any broken windows, window latches, doors, locks, burglar bars, security gates and so on throughout your home. Make sure that no screws are loose, no bars are rusted and that locks are well oiled, enabling you to easily close them before leaving, and open them upon return. Outbuildings should be considered as an extension of your home, and as such should be secured in the same way. Make sure that every window and door is locked, ensure rusty locks are replaced and broken windows repaired - you may not consider them for the rest of the year, but they are often the first point of attack on empty houses by criminals. Following these steps will allow you to have a happy, relaxed and well-deserved rest, while your house is safe and sound!